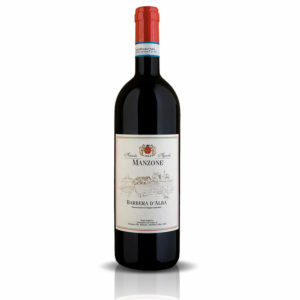 Azienda Agricola Manzone & Co. was founded in 1843 by Francesco Manzone near Monforte d’Alba. More than 150 years later, the estate is still run by the fourth generation of the family, Elio and Giuseppe Manzone. This is the area where the world renown Barolo wine was born; the story of a wine produced for the first time in the town of Barolo, in the heart of the Langhe area protected by gentle and beautiful hills. No one at that time could have imagined that the Barolo wine was destined, one day, to be the King of Wines. The entire Barolo production focuses on high-quality wine and a few thousands bottles per year. The vineyards elevation (350-500 metres / 1100-1600 feet), the steepness of the hills and the great terroir foster naturally low-yielding vines, which produce wines that are pleasant when young and yet remain amongst the most concentrated and longest-lived. 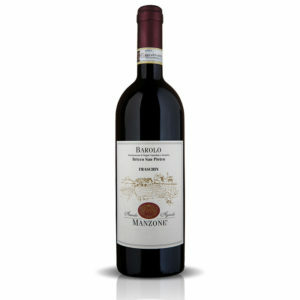 “Fragrant blue flower, woodland berry, dark spice and pine forest aromas lead the way of Manzone’s Barolo“ (from the Wine Enthusiast Magazine). Alongside Barolo as the King of all Wines, this area undoubtedly produces among the most noble wines of Italy such as Dolcetto d’Alba, Barbera d’Alba, Langhe Rosso Gran Manzone, Langhe Nebbiolo …. all certified as DOC and DOCG designation of origin. The Manzone family’s dedication and expertise to winemaking remain true to long-standing traditions, whilst treasuring taste and aromas from this UNESCO hilly landscape of Langhe & Roero, where their vineyards are located. The views from the upper part of Monforte (Langhe) attests to the wonderful scenery that always surrounds you. The contrasting colors of the nature closely reminds The Green Vineyard and The Red Vineyard of the Van Gogh’ painting. The whole of the Langhe landscape is covered in grape vines with hilltop towns dotted amongst them. In the distance the Alps can be always seen. In autumn a red haze covers the land as the vine leaves change colors. The first snow can be already seen on the alps until full winter arrives. Then spring brings new shoots and the cycle begins once more. The village of Monforte d’Alba dates back as far as Roman times. Its fortunate position (Mons – Fortis) certainly made it strategic from a military point of view. Once a colony of the Longobards, it came under various feudal lords before passing via the House of Savoy into the hands of the Marchesi del Carretto’s family. 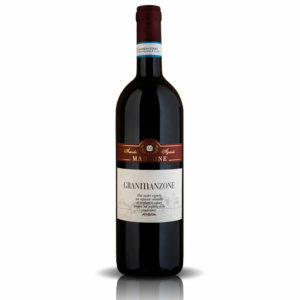 In addition to their award winning Bricco San Pietro “Fraschin” Barolo, Manzone produces a fine variety of DOC and DOCG wines, such as Langhe Freisa, Langhe Favorita, Dolcetto d’Alba, Langhe Rosso GranManzone, and Langhe Nebbiolo. Thanks to one of the greatest terroirs of the region and their traditional vinification techniques, our Manzone’s wine range features also an exceptional Barbera d’Alba, with great complexity, finesse, structure and elegance … not to be missed!